What is love? Is it definable? Is it a feeling? A passion? Something romantic? The dictionary defines love as a profoundly tender, passionate affection for another person, a feeling of warm personal attachment or deep affection for a parent, child, or friend, sexual desire, affectionate concern for the well-being of others, the benevolent affection of God for His creatures or the reverent affection due from them to God. * in a boyfriend or girlfriend? * in power or position? If you’re looking for love in the people or things in the above lists, you’re looking in all the wrong places. You must first look inward. If you have no love within you, you will not be able to give love to another. * Do you look for that perfect someone to love? * Do you yearn for that special love, the kind of love that believes in you, nurtures you, encourages you, supports you, comforts you, is always there for you? * Does this elusive, unchanging, lasting, forever-kind-of-love exist? The answers are the same. So, where is the best place to find the answer? In the Bible! This love comes in the person of Jesus Christ. When you know this kind of precious love, you will begin to truly love yourself and others. Your love life will be in order. So, what or whom do you love? 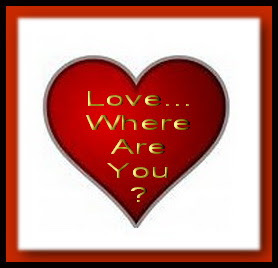 If I asked you to answer, without thinking, what you love the most, what would be your immediate response? Your boyfriend or girlfriend, your spouse, your children, your car, your bank account, your physical appearance, your iPod, your cell phone? May you know the perfect, Valentine Love! Good words, Lynn. I love the sentence,”You have been loved with an everlasting, all-sacrificing, all-forgiving, unconditional, perfect love.” What a great thought on which to start my day. Thanks! I just finished a post for next month at The marriage Channel at Exemplify Online about loving Jesus more than my husband. He never lets us down! Wonderful post, Nancy. I’ll post my Valentine story tomorrow. 🙂 I might do like you and pose a challenge, too.I was trying to figure out what and when to donate to Haiti. Hey, sweet Lorrie! Thank you! Susan, Thanks so much for your kind words. I appreciate your stopping by and commenting! Bless you! HisFireFly, Thanks, sweetie! And I loved your post. Be blessed! Thanks so much for stopping by, Ane. I’m honored to have you visit. And I hope you’ll start that challenge! Blessings to you! I just wanted to stop by and say Hi. Hope you have a wonderful Valentine’s Day! Ricky-boy, er, Anonymous, You always bless me with your comments. You make my heart very happy! Bless you for reading. Divine Valentine love to you…and sweet Lee! I responded on my blog to your comment. Not to sure that I can agree with the “dictionary” definition as even coming close to what love is. In a general sense to be pleased with; to regard with affection, on account of some qualities which excite pleasing sensations or desire of gratification. We love a friend, on account of some qualities which give us pleasure in his society. We love a man who has done us a favor; in which case, gratitude enters into the composition of our affection. We love our parents and our children, on account of their connection with us, and on account of many qualities which please us. We love to retire to a cool shade in summer. We love a warm room in winter. we love to hear an eloquent advocate. The christian loves his Bible. “In short, we love whatever gives us pleasure and delight, whether animal or intellectual; and if our hearts are right, we love God above all things, as the sum of all excellence and all the attributes which can communicate happiness to intelligent beings. In other words, the christian loves God with the love of complacency in his attributes, the love of benevolence towards the interest of his kingdom, and the love of gratitude for favors received”. Thou shalt love thy neighbor as thyself. Matt. 22. 2. To have benevolence or good will for. John 3. To me, a much more accurate definition! But in my own words…to love is to be selfless Anything less…is selfish. How can one love when self is the center of it all!!! Thanks so much, anglesteph! I appreciate your taking time to stop by and comment. Blessings to you! Hey, Jerry! You know, I have an old dictionary and I totally forgot to look at it. Darn! Wish the new ones were like the old ones! I deeply appreciate your wonderful comment. Thank you so much! Be blessed! When all others fail, when all others hurt us..God is always there. Love how He approaches us from a position of love. Truly comforting. Great post,Lynn. Thanks for sharing! The love of God is so pure and perfect – the more I get to know His love the more it amazes and I realize just how contrary it is to the love that comes from our flesh which really isn’t love at all.